Walt Whitman was deeply interested in the American language as it was emerging in his time. He was fascinated by the vocabularies of the sciences and the streets, and was a regular visitor to the New York Public Library, where he loved to peer into the provenience of the words he overheard and read. 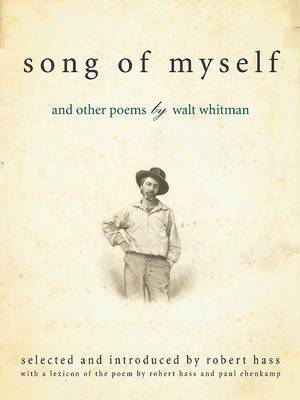 In this beautiful book, Robert Hass and Paul Ebencamp walk us through Whitman's -Song of Myself---one of the greatest poems in American literature. Much is revealed about the words Whitman chose in 1855--their inflections, meanings, and native usages we wouldn't otherwise know. In doing so, we understand perhaps for the first time, Whitman's query in Song of Myself: -Have you felt so proud to get at the meaning of poems?- In the first part of the collection, Hass an introduction to the poem and, with Paul Ebenkamp, a rich annotation of -Song of Myself---both the first version from the 1855 edition of Leaves of Grass, and the final, revised text that appeared in the so-called -Deathbed- edition of 1892. 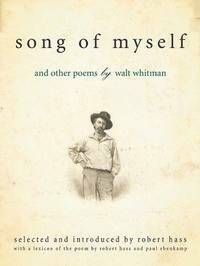 The second part of this book includes a selection of poems from across the span of Whitman's career that gives us a fresh look at Whitman's work.